The Reds join arch-rivals Manchester United in the fourth round of the FA Cup! Liverpool centre-back Virgil van Dijk had a debut to remember as the £75 million-signing headed in a 83rd minute winner to ensure the Reds beat Merseyside rivals Everton 2-1 in their FA Cup third round tie at Anfield on Friday night. Gylfi Sigurdsson had scored a classic counter-attack in the 67th-minute to cancel out James Milner’s controversial first-half penalty and as full-time neared, the home fans feared an energy-sapping replay was on the cards. Bereft of their two most in-form forwards—Mohamed Salah and Philippe Coutinho— Liverpool dominated the game from the off but lacked that vital cutting edge with Adam Lallana, in particular, looking rusty in attack. And after van Dijk had missed an easy headed chance, it seemed like a second consecutive draw between the two rivals was imminent, but the Dutchman had other ideas and as Alex Oxlade-Chamberlain swung in a corner with seven minutes remaining, the 6’4 defender rose highest to head home. Everton keeper Jordan Pickford, who has been in superb form this season, was culpable of an error, coming out but getting beaten by an opposition player to the ball and the Toffees never truly looked like they would equalise for a second time in the tie. Liverpool join arch-rivals Manchester United, who edged Derby County 2-0 in the other third round tie be played on Friday night, in the fourth round now. Earlier, Everton had begun the tie on a bright manner, with Yannick Bolasie causing a few problems for Liverpool on the flank but the Reds would take the lead via contentious circumstances. Adam Lallana went down in the box after being the subject of close marking by Everton defender Mason Holgate and replays suggested the midfielder had gone down a tad easily. The redoubtable James Milner stepped up and sent his effort straight down the middle while Pickford dived to his left to open the scoring 10 minutes from half-time. Everton had it all to do in the second-half and against the run of play, equalised but their goal had no element of luck towards it. Yannick Bolasie, substitute Ademeloa Lookman and Phil Jagielka of all people, were all involved in the build-up which saw Gylfi Sigurdsson arrive at the right place and right time to stroke home. Big Sam’s Toffees have lost their last three games (all competitions) on the bounce and will look to pick themselves up as they travel to Tottenham Hotspur on January 13 for a Premier League clash next. 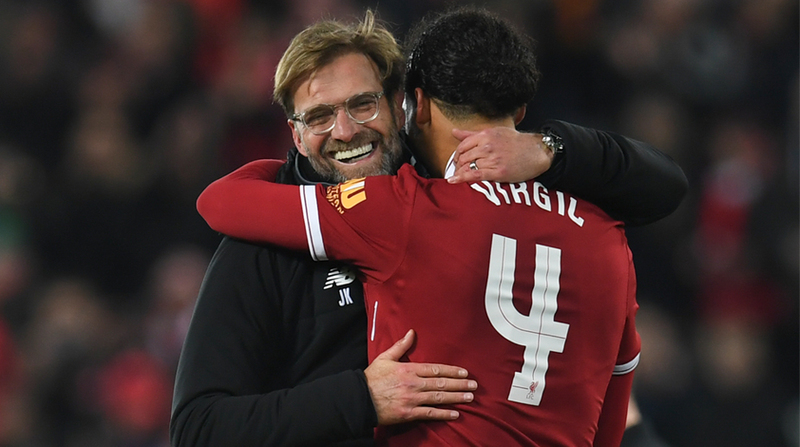 Liverpool have a massive clash with leaders Manchester City to prepare for and Jurgen Klopp’s men will be looking to get revenge for their 5-0 mauling at the hands of the Sky Blues earlier in the season when the sides clash at Anfield on January 14.